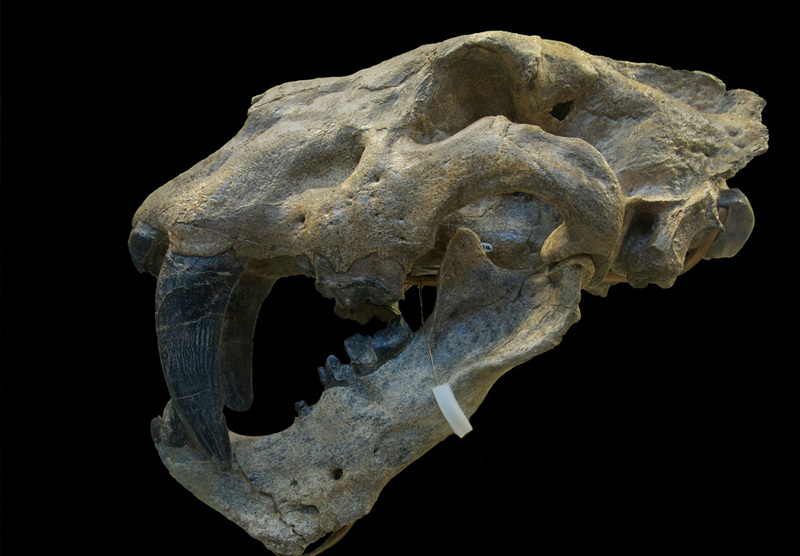 A new University of Florida study that determined the age of skeletal remains provides evidence humans reached the Western Hemisphere during the last ice age and lived alongside giant extinct mammals. The study published online today in the Journal of Vertebrate Paleontology addresses the century-long debate among scientists about whether human and mammal remains found at Vero Beach in the early 1900s date to the same time period. Using rare earth element analysis to measure the concentration of naturally occurring metals absorbed during fossilization, researchers show modern humans in North America co-existed with large extinct mammals about 13,000 years ago, including mammoths, mastodons and giant ground sloths. Following discovery of the fossils in South Florida between 1913 and 1916, some prominent scientists convinced researchers the human skeletons were from more recent burials and not as old as the animals, a question that remained unanswered because no dating methods existed. The little information known about the first humans to appear in North America is primarily based on bone fragments and artifacts, such as stone points used for hunting. Other sites in California, Montana and Texas show human presence around the same time period based on artifacts, but two nearly complete human skeletons were discovered at the Vero Beach site. As bones begin to fossilize they absorb elements from the surrounding sediment, and analysis is effective in distinguishing different-aged fossils deposited in the same locality. Instead of radiocarbon dating, which requires the presence of collagen in bones, researchers used mass spectrometry to compare rare earth elements in the specimens because a lack of collagen in the Vero Beach specimens made radiocarbon dating impossible, Purdy said. Researchers analyzed samples from 24 human bones and 48 animal fossils in the Florida Museum’s collections and determined the specimens were all from the late Pleistocene epoch about 13,000 years ago. While rare earth element analysis method is not as precise as radiocarbon dating, Purdy said the significance of human skeletons found in Vero Beach is unquestionable in terms of their presence in the Western Hemisphere. “It is important to note that they [the authors] did not provide an absolute or chronometric date, rather the geochemistry shows that the trace elemental geochemistry is the same, thus the bones must be of the same age,” said Kenneth Tankersley, an assistant professor in the University of Cincinnati anthropology and geology departments. Native fauna during the last ice age ranged from extinct jaguars and saber-toothed cats to shrews, mice and squirrels still present in Florida. Researchers speculate humans would have been wanderers much like the animals because there was less fresh water than in later years, Purdy said. Study co-authors include Krista Church of UF and the University of Texas, and Thomas Stafford Jr., of Stafford Research in Colorado and the University of Copenhagen.